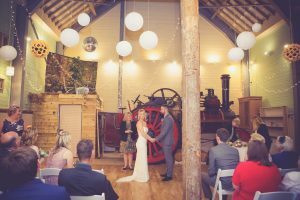 Family owned and run, Froginwell has undergone a series of improvements over its years as a wedding venue, which has culminated in a stunning space. By day, the traditionally restored 1903 Traction Engine has provided the unique backdrop for many wedding ceremonies, and then by night, is transformed into the heart of the party – complete with glitterball! 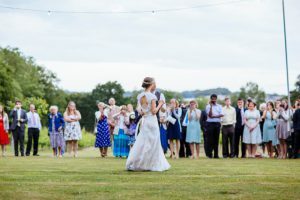 Following the ceremony, guests are encouraged to spill out onto the oak framed decked terrace and beautifully maintained lawns, where any children (and adults if they wish!) can run free in a safe and protected environment. This is a perfect moment for the bride and groom to make the most of Froginwell, and explore the grounds, vineyard, and orchard for some exceptional photo opportunities… It’s not uncommon to see a bride in wellies, wading through the long hay fields. When it’s time to eat, guests make their way through to the oak beamed reception area which is filled with natural light. With plenty of space to seat 120, the bride and groom can clearly keep an eye on everyone in their party! The centrally located, fully licensed, American style bar plays an important role as day turns to night. It helps to create a perfect flow between dancing and mingling, with the option to increase numbers to 200 in the evening. As dusk draws in the festoon lighting on the decking compliments the wysteria and vines to create a mediterranean feel on a balmy summers evening. Whilst inside the lights are dimmed allowing the draped fairy lights to twinkle. Froginwell is ideally located within easy distance of the M5 J30, the A30, and Exeter airport. There are many accommodation options close by – for further details, please get in touch. We will do whatever we can to ensure that each couple get the day they have dreamed of. For further information, or if you would like to book an appointment to view Froginwell, please get in touch! Do you have set suppliers who you work with? In short, no we don’t. 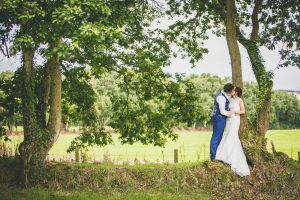 We can recommend lots of lovely local businesses who we have worked with in the past, but we feel that it is important for the bride & groom to have the flexibility to work with who they like. That said, feel free to get in touch if you’d like any recommendations. 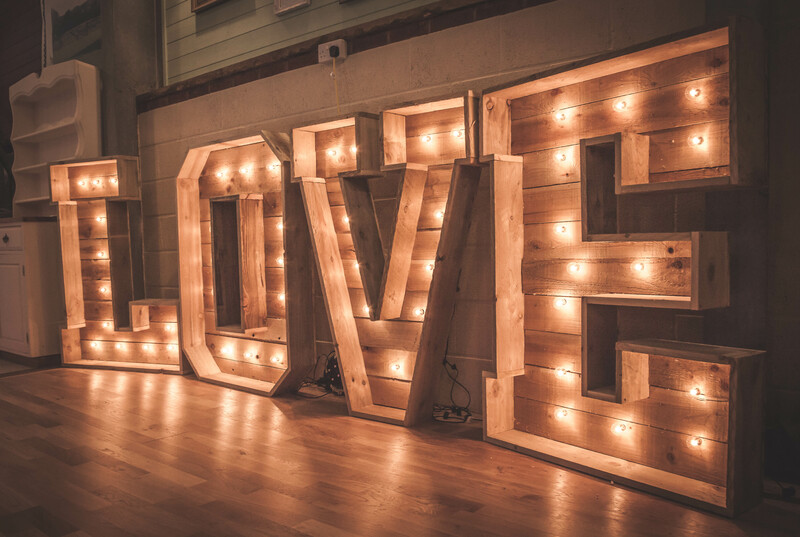 We have a fantastic list covering everything from caterers, hire companies and florists to djs and bands. How does the hire for a wedding at Froginwell work? 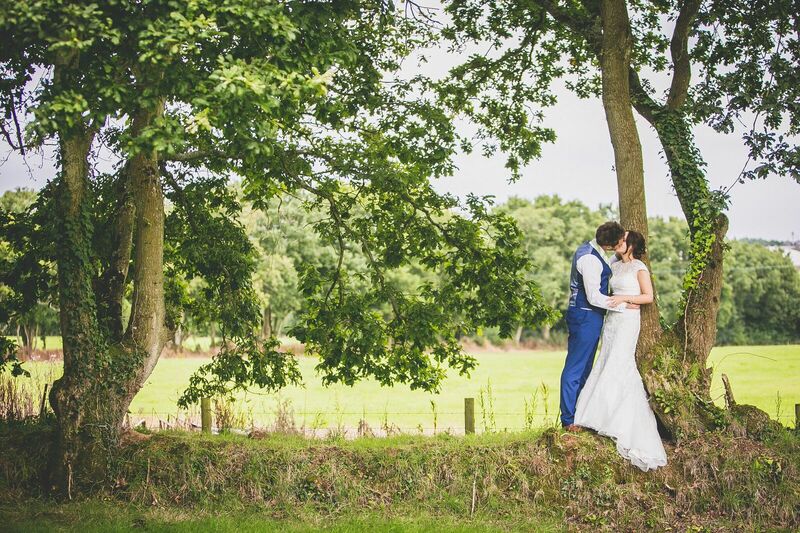 We say that you have from 10 – 3pm the day before your wedding day to set up Froginwell and put your stamp on it. It’s then yours for the entire day of the wedding, with the bar closing at midnight. Then the morning of the following day, (or another day if prearranged) your belongings are collected. The staff will have packed this all up after you and your guests have left, so all you have to do is load it into the car and go off and enjoy your first day of married life! On the day of our wedding, what time do we have to leave? Due to the nature of our license, amplified music is to stop at 11pm. Quiet background music can be played in the bar area until 12pm, which is when the bar closes. We tend to find that the hour between the music ending and the bar closing is when guests start to disperse – most are ready for bed by then! Typically by 12 / 12.30 everyone has headed out the door either off home, or into tents in the adjacent field. Can we get married at Froginwell? It’s getting more and more popular to use Froginwell for both the ceremony and reception, but it’s not uncommon to hire Froginwell as the reception venue only. Do you have different prices for peak and off peak seasons? No we don’t. We just have the one price, regardless of time of year, day of the week, number of guests etc. This is for one simple reason – for us it is the same amount of work, regardless of whether it is summer or winter, a Wednesday or Saturday. Get in touch for more information, including price and what this includes. From the bottom of my heart, i cannot thank you enough for making our wedding day the absolute best day of our lives. The beautiful venue, organisation, friendly staff it was absolutely perfect, and we’re left with memories that we’ll have for a lifetime. 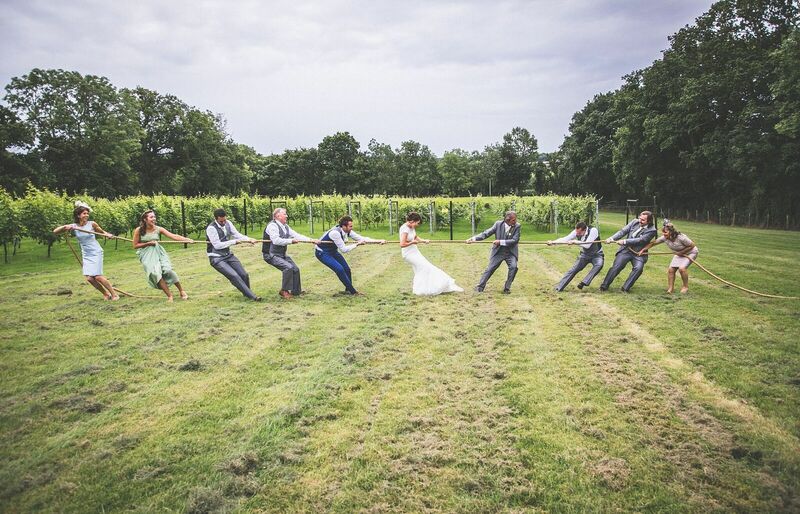 We had the most fabulous of weddings at the Froginwell Vineyard. Kate, Dani and team could not have been more accommodating to our requests. 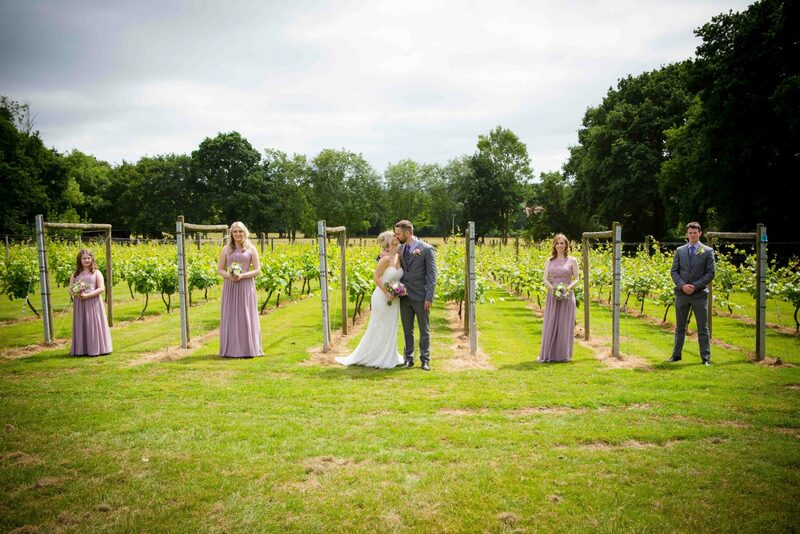 We held an outdoor ceremony in front of the vines (thanks to English weather) and held the reception indoors. It was the perfect wedding venue no matter what your taste, highly recommended. Despite rain in mid August, L & T’s wedding was a glorious event. So many of our guests expressed their delight at the venue, the decoration, the food, the service and the ‘warm abundance’, as expressed by one group. J and I would particularly like to express our thanks to you and your team for the way in which you managed the service with calm,unobtrusive efficiency – quite a challenge with 140 guests in the room! L & T appreciated the way that you checked in with them on occasions in order that timings were carefully managed without interrupting the flow of the afternoon. They also commented on the fact that, before the evening guests arrived, just a few tables were cleared away to create a little more space without disturbing the overall setting and enabling the afternoon event to melt into the evening. Overall, a perfect setting for a joyous occasion. As a result, we would not hesitate to recommend Froginwell to anyone considering wedding or other events. We had the most amazing day, cannot thank you guys enough!! It was so much more than we ever expected, and you went above and beyond in every way!! Our wedding at Froginwell vineyard was perfect from the moment we walked in. The venue is perfect and every one of our guests commented on how amazing and unique a place it was. It gave us a day that truly reflected us and Kate and her team were so helpful and friendly. If we could we would have the whole day over and over again! I am an event planner for work and I made a few rookie mistakes in the excitement of planning our wedding. I think I was just so excited that someone wanted to marry me! We booked a venue initially and while it was beautiful we failed to understand when planning a wedding how important it is to deal with someone who is prepared to offer you excellent customer service. Weddings are one of the most expensive outlays for a couple and therefore it comes with a high expectation of customer service. The venue we booked were awful and just did not listen to us (and we are pretty laid back) we had to find a new venue very quickly. This is where Kate/ Froginwell entered our wedding story. I phoned her in a panic explaining what had happened with our existing venue, she listened and did not pass judgement and was extremely understanding, professional and sympathetic. We checked if Kate had the date we were looking for and quickly visited Froginwell. 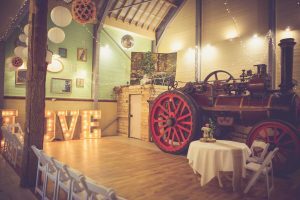 It was booked on the spot (other venue cancelled) and this was prior to the fabulous extension that has recently been built which we were very proud to be the first wedding in. Kate was great and incredibly helpful, she also offered me the best advise I received on the run up to the wedding, which was, ” don’t get too hung up on the detail”, which as an event planner is incredibly difficult to do but like all good advice I took it to heart. After booking the venue we visited to clarify a few bits and pieces which mainly revolved around alcohol. Kate was accommodating, polite and made the whole experience enjoyable, in fact it felt like we were dealing with a friend. We ordered a fabulous afternoon tea from Kate which took place directly after our ceremony and have received so many compliments about it. 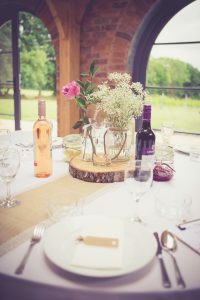 Kate and Dani are brilliant, the venue is perfect for a laid back but stylish wedding and if we had to do it all a again we would not change a thing. I would recommend visiting this venue because it needs to be seen to do it justice and you need to meet Kate and Dani to understand the added value you get from them being involved in your day that you really do not get from other venues. Thank you Kate for playing such an important part of our fabulous wedding and helping us create such a magical memory for the start of our marriage!